Last year, Spectral Press kicked with “The Spectral Book of Horror Stories” a new series of anthologies inspired by and in the style of the classic short story collections “The Pan Book of Horror Stories” and “The Fontana Book of Great Horror Stories”. And the first volume was something to remember, starting with the cover art, the editorial work of Mark Morris and the stories published within the first collection. It came as no surprise then that “The Spectral Book of Horror Stories” is in competition this year for a Shirley Jackson Award at the Best Anthology category, together with two of its stories running for the same award at the Best Short Fiction category (“The Dog’s Home” by Alison Littlewood) and the Best Novelette category (“Newspaper Heart” by Stephen Volk). This October, during the FantasyCon in Nottingham Spectral Press will launch the 2nd volume of this series of anthologies, edited again by Mark Morris and with the same cover artist as of the first volume, the very talented Vincent Chong. 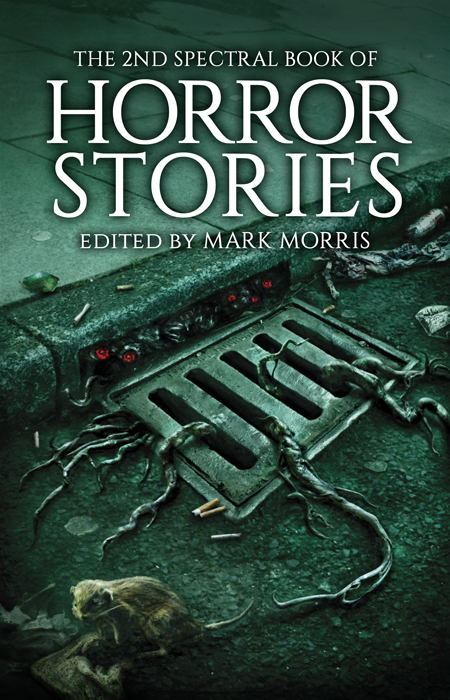 There is no news yet about the table of contents of “The 2nd Spectral Book of Horror Stories”, but I do love the cover artwork for the second volume. Vincent Chong inflicts the same eerie, unsettling sensation of the first cover here as well, establishing a very nice trend for “The Spectral Book of Horror Stories” by offering each volume an excellent visual companionship. The cover art is something to look for as much as are the stories published in each collection, making both features memorable trademarks for the series. I am convinced that this second anthology would be as good as the first and that “The Spectral Book of Horror Stories” would easily become one of my favorite series of short story collections. If it isn’t already.